In 1998, Ben Carson saved his pregnant wife, Anne, from the ultimate evil. Now, in the summer of 2015, the future looks great for Ben and Anne. Their son Taylor is married to his longtime love, Jenny, and they are expecting their first grandchild. Their daughter, Molly, now almost seventeen, is a beautiful, intelligent teenager. Life has never been better for the Carson family. But that is about to change. The disturbing dreams are back and Ben is terrified. The ultimate evil force has not forgotten what Ben took from him and he is back in human form seeking revenge with the help of a handsome young man who befriends Molly and infiltrates the Carson family. This sequel to The Well House takes the reader on another incredible journey through the depths of the underworld to the gates of hell. Familiar characters return to help Ben on his journey together with a wizard, a shape shifter and a Basque priest. Ben, together with his wife Anne, his dog and his friends encounter terrifying creatures on their arduous journey to defeat evil and save the family. 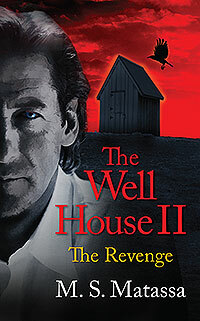 The Well House II: The Revenge is part drama and part fantasy and continues the exciting, unique and thoughtful story of a man's fight against the ultimate evil. Will Ben be victorious again or will he and his family be destroyed? 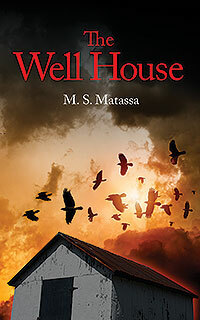 The Well House II: The Revenge is the second novel by Michael S. Matassa, an attorney and Municipal Court Judge in Arvada, Colorado. It is the exciting sequel to his first novel, The Well House, and is the second book in the series called The Well House Chronicles. Mr. Matassa studied at Regis College in Denver and the University of Colorado School of Law. 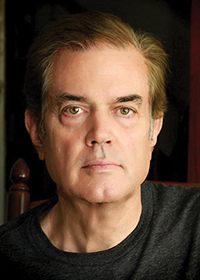 He has written several short stories, a screenplay and is presently working on the third book of The Well House series. He writes under the name of M. S. Matassa.